Thank you very much, lovely service. As pictured, excellent parts. Brilliant delivery. We order the service pack when the last bag is used in the service pack and it really does make a difference changing all the filters, have had the Sebo 10+ years and it still fantastic because it's looked after! 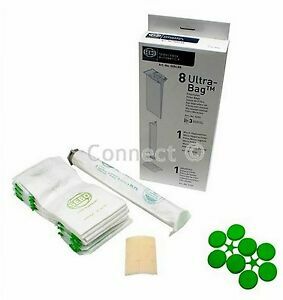 The bags and filters are high quality manufactured by the appliance manufacturer to obtain the best performance from the cleaner. There are cheaper compatible products of inferior quality which affects the performance and efficiency and may damage the motor. You get what you pay for. This is a great buy, genuine Sebo parts, totally changed my Hoover! Fast post to! 5/5 !